Leeds Building Society has launched a 19-month fixed rate cash Isa with a 1.75% AER, but you may not see it in the usual rates tables. Comparison sites often focus on one-year, two-year or three-year fixed-term savings accounts. But many providers – with Leeds just the latest – offer terms that are out of the norm, including six months, 18 months or even 30 months. 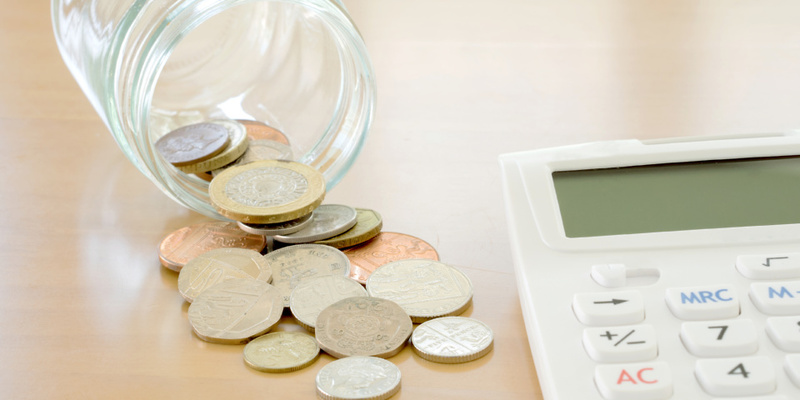 So, could these lesser-known savings accounts help you save more? Read on to find out if putting your money away for unusual lengths of time could help you save big, or if you’re better off sticking to the more popular products. Can I save more with ‘unusual’ fixed term bonds? Fixed-term savings accounts, which restrict access to your money for an agreed period of time, often have better interest rates than instant-access accounts, which you can withdraw from whenever you want. For the most part, the longer you lock your money away, the more interest you can earn. But what if you only save for a little longer? Could you get a better rate if you lock your savings away for 18 months instead of 12? We’ve used Moneyfacts data on accounts that require a minimum investment of £5,000 or less to compare the top-rate ‘normal’ savings accounts with the best unusual rate alternatives. The results show that while the top six-month bonds provide better value than the best instant access savings account on the market, you’re still better off with regular periods for longer-term savings. That being said, the top nine, 15, 18 and 30-month bonds do have better interest rates than some competing savings accounts – they just don’t beat the best ones. Instant-access savings accounts are ideal if you may need to dip into your funds at short notice. But as we’ve found, you could save more money if you leave yours untouched for a short period. The top-rate instant access account is ICICI Bank’s HiSAVE Bonus Saver Account. At 1.55% AER, this account offers a lower interest rate than six-month bonds from BLME, OakNorth, Masthaven, Atom Bank and Wyelands. If you left £1,000 untouched in an ICICI HiSAVE account, you’d have £1,007.75 after six months. If you did the same with BLME’s six-month Premier Deposit Account, you’d have £1,009.25. HiSAVE does yield more than the best three-month fixed term bond, though. So, if you will need to access your money in under six months, a good instant access account is probably your best option. On average, 18-month bonds have higher interest rates than two-year bonds, according to Moneyfacts, at 1.23% and 1.1% respectively in 2018. Despite this, the best two-year fixed term accounts outperform the 18-month bonds with the highest rates. If you’d rather put your money away for two-and-a-half years instead of three, you will have to settle for lower interest rates. Saving £1,000 in OakNorth’s 30 Month Fixed Term Deposit account would net you £1,058.75 at the end of the term. Al Rayan’s three-year account would yield £1,075.60, but you’d have to wait six more months to get the extra £16.85. Irregular terms or not, none of the bonds above are Isas. That means you’ll have to pay tax on any interest you earn over £1,000 (£500 if you’re a higher rate taxpayer). At the top end of the scale, the best Isas with ‘standard’ fixed terms have higher interest rates than the closest ‘unusual’ term accounts. See the table below for a brief summary of unusual term Isas and normal term competitors. While most banks will have several different fixed rate savings accounts to choose from, some will give you control over exactly how long you want to lock your money away. Masthaven Bank, for example, allows you to set your own ‘flexible’ fixed term of anything from six to 60 months, with the AER adjusting between 1.75% and 2.49% accordingly. This might be helpful if you are saving up for a very specific date, but otherwise, unless the interest rates are better, there’s no real advantage. Which? Money Compare lists hundreds of providers, allowing you to compare savings accounts and find the best deal.